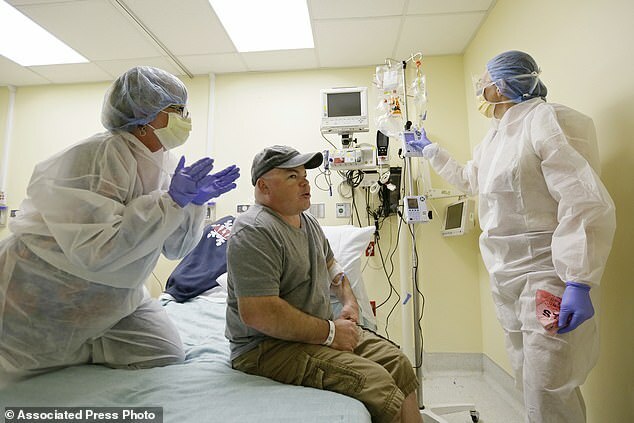 The first human trial of gene editing technology to treat a rare disease in the US has returned disappointing results, researchers at Sangamo Therapeutics announced today. Gene-editing has been hailed as the best hope to treat inherited disorders. Sangamo’s trial used proteins that bind to targeted segments of DNA to deliver gene therapy to three patients with a rare genetic disorder that disrupts their ability to process certain sugars, causing damaging build-up in the brain, bones and more. But a year and nine months after the trial’s start, the patients’ levels of harmful sugars have stayed effectively the same, casting a disappointing shadow of doubt over the prospects for ‘fixing’ the genome. More than 6,000 deadly or debilitating diseases lurk in the genetic code. Until very recently, all that could be done for people with these diseases was to treat their symptoms – there was no way to cure or reverse these conditions. But the theory – and the hope – is that if we can alter the genes that carry these diseases, we could edit mutations out of existence. One of the earliest, most promising methods for doing so uses so-called zinc finger nucleases (also referred to as simply zinc fingers, or ZFNs). Zinc fingers are a fuse of two compounds that can be engineered to seek out and cut specific segments of DNA. The latest advancements for gene-editing use the Nobel Prize-winning CRISPR technology, but the method is too new for human trials.